﻿ Can You Use Essential Oils Instead Of Thyroid Medication? *This is an opinion piece. Under no circumstances does Thyroid Nation recommend discontinuing your thyroid hormone replacement, for essential oils use or ever. This worked for this particular woman. We aren’t sure if this is still her current protocol as of August 2016. If you have thyroid disease and especially Hashimoto’s, it never ‘goes away’! It can be put into remission, yes. Always talk to your healthcare provider before implementing any new system. We at Thyroid Nation believe that we are ALL individuals and there is no one way or one treatment that works for everyone. We are all uniquely, individually created! I was on thyroid medication for about 2 years. The doctors tried Levothyroxine, Synthroid (briefly), Bio-Identicals and Armour. None of them worked. 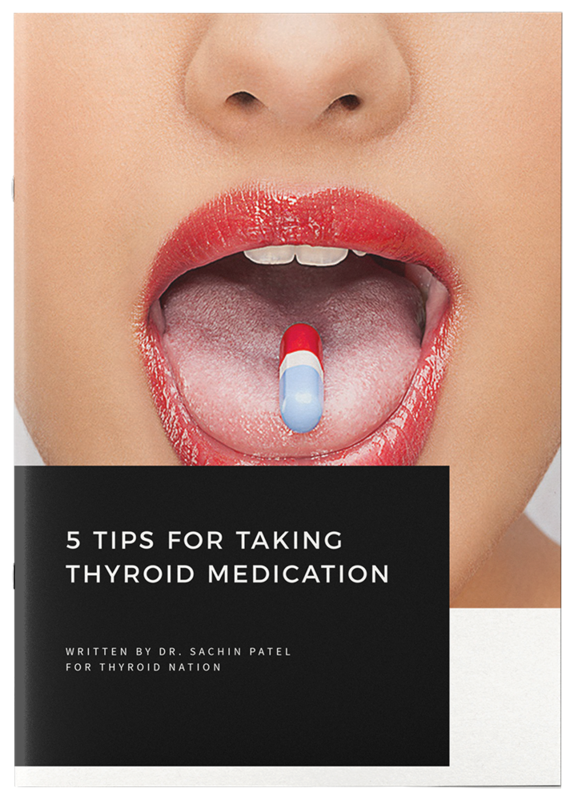 With each new thyroid medication I did feel better – but it only lasted for a few weeks. Then my symptoms would come back and sometimes get worse. Most of the time, my doctors would just tell me to increase my dose. So I did. And for 2 years, I continued feeling terrible. I lived in a heavy haze all the time. I disliked being on the medications and tried to stop them. But, I always ended up non-functional and brain dead. Who wants to live like that? I certainly didn’t. I needed some real support for my body. This was not the way, for me. I knew there had to be another, less toxic option. This was thyroid induced fog and lack of energy, was not how I would spend the next 80 years. So, I made some changes. Last October, I stopped my medications, cold turkey (not recommended but I was desperate) and started using Peppermint, Lemongrass and a blend called Endoflex. I layered them topically on my thyroid (base of throat area) and adrenals (mid-back) 3x/day. Within a week I felt better and was able to workout again. I kept up this regimen until December and was even able to lose some weight and get some energy back. In December, I added Frankincense to the mix, but decreased my usage to 2x/daily. This decrease happened mostly because of lifestyle changes more than by intention. However, I did not have any issues come up with the decrease in frequency. I added Frankincense because although I was feeling better, my thyroid antibodies were still at approximately 6,000 (goal is 40 or under depending on what type of physician you work with). Needless to say, I was on a mission to get those antibodies down! Fast forward a few months and my antibodies were still very high, but I was still feeling better than when I was on the thyroid medication. I decided to alter my routine a bit, one more time. Instead of applying the oils to just my thyroid and adrenals, I started using the thyroid and adrenal reflexology points on my feet. In the morning, I would apply the oils to my thyroid and adrenal areas. In the evenings, I would apply the oils to the bottom of my feet, making sure to hit the thyroid and parathyroid points. (For those who do not know – you absorb oils quickly through the bottom of your feet. If applied all over the bottom of the foot, the oil can be detected in every cell of the body within 20 minutes). I stayed consistent with my usage of the oils for about 7-8 months, total. I did use Frankincense, in my routine, for about 4 of those months. At that point, I found that I could play with it a little. I used Endoflex almost every day, but I cut back on the other oils. Some days I applied all 4 oils while other days I only used 1 or 2. It really depended on how I was feeling and I followed my intuition. 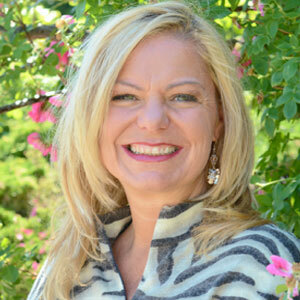 Kehau Martinez is a Certified Holistic Health Coach and environmental advocate. Following her heart, she decided to become a health coach to empower other women who struggle with thyroid and adrenal imbalances. Today, she supports women who have thyroid imbalances to lose weight, increase energy and thrive. Kehau received her Health Coaching training at Integrative Nutrition in New York City and is certified by the American Association of Drugless Practitioners. She holds a B.A. in Communications from Chapman University as well as certifications in Animal Communication, Reiki, Spinning® and the Access Consciousness Bars®. Additionally, she is certified in Raindrop Technique® and uses genuine essential oils to perform this application of oils which detoxifies the body, empowering it to restore balance and promotes spinal health. Questions or anything to add or ask about essential oils? Have you tried them for thyroid support? We want your thoughts in the comments section– you might help someone else in need. Stay up-to-date, get discounts on essential oil blends, informational articles and stories that inspire, on all things thyroid! I took my mom today to the endocrinologist and he said she looked fine, when he finished he came over to me and asked “so how’s the thyroid?” Mind you I’m an Rn in Labor and delivery very part time and off traveling to Ethiopia and with a bible camp and boyfriend in ministry but have been realizing I must be at least borderline hypothyroidism because of the symptoms all fitting and feeling terrible, but kept trying to excuse it due to jet lag etc. He said my thyroid is enlarged. Because I’m per diem and home half the time working about 5 shifts a month (all I can do anyway the12 hr shifts exhaust me so) I’m in the process of lining up Obama care. Missed one paper to turn in when I wasn’t home and need to start again. Do oils treat a slightly enlarged thyroid sometimes? I just signed up yesterday under my daughter to do Young Living as a business. God knew, just in time. Haven’t had a chance since it’s not my area of expertise to look up enlarged. I’m worrying how common that is or if cancerous. I want to start the oils while lining up medical and get testing done. use doterra oils they are 100% pure , make sure you check other oils in the ingredents they say not to take internal, but most of doterra oils you can put in a gel capusule or by mouth. Take care and let us know your thoughts! Are u doing any food restrictions also? I would love to treat with just oils! That’s T4 to T3 conversion, you have it backwards !! Thank you, Dr. Pannozzi. I will go back and look at it. I’d love to have a ‘guest post’ from you, if you’d be interested. Thank you for the information. My 10yo daughter has HD, I am doing all I can to start her on a natural treatment plan. Do you know if this would be safe for a child? Wondering about those who have had a total thyroidectomy? Do you think the oils would qirk the same as for thos who have underactive thyroid? Hello. I’m very interested in this protocol. I’ve been on thyroid meds for over 20 years, so I’m pretty much not making the hormones anymore – on Armour, but was on Synthroid for about 15 of those years. Have you heard of anyone being on meds for that long and moving to exclusive natural support and oils? I too am wondering if this would work well after a total thyroidectomy!? I was diagnosed with thyroid cancer I 2004 and have had 2 recurrences since.. I absolutely hate how synthroid makes me feel, but have to have my TSH super suppressed to stop/slow the cancer growth. Would this even be a possibility for me? Hey Dawn, did you ever get an answer to your question on here? I am curious as similar condition, still have half though. I have high tsh , been feeling terrible with no energy, the smallest tasks leave me exhausted. Go to doctors on the 18th want to order essential oils clove, peppermint, myrtle, and lemongrass to try on thyroid gland to see if it makes me feel better. I have used ojls for years in my skincare and love them. Should I try these four oils before seeing doctor? I have had Graves Disease (high thyroid), most information is about low thyroid, do you have any comments on (had my thyroid out Dec 2014) still high but coming down, it has taken 9 mo to get it lower, and I think now the drugs are setting in and the side affects and negative affects are taking me down again. Like others you feel better for awhile and then it is downward again. I would like to address no thyroid and the Graves with oils, but Drs say I will have to take a hormone replacement the rest of my life. 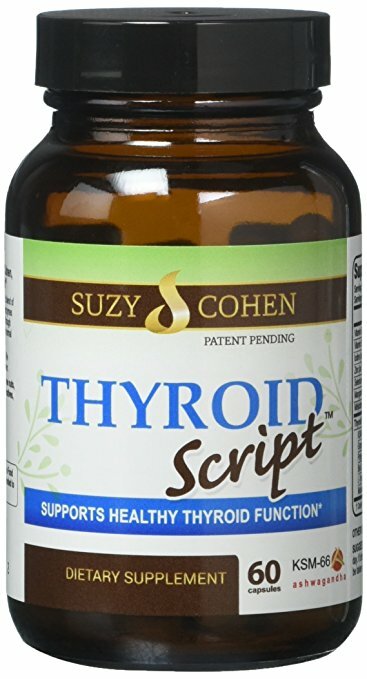 I am leary about the oils being enough or should I take them with the thyroid replacement? I saw other questions similar to mine but see no answers. My husband has Graves’ disease and we use a blend of lemongrass and myrrh in FCO on his freaked points of his feet and it was amazing how quickly his symptoms disappeared. No more shaking or fainting, but we hadn’t tested his levels before we went for it with oils so I don’t have anything to back it up with. Will essential oils work if there is an iodine deficiency? Since most often doctors do not test or treat for iodine deficiencies. I love what you are doing with the thyroid and essential oils. I am going to try the essential oils with my natural iodine supplements. I actually buy mine from all over. You need to be looking for 100 % PURE Essential Oil. It should say that on the label. I agree that DoTerra oils are amazing. I use them too. But I have my own account and buy them direct from the company. People selling them on Amazon are not necessarily selling DoTerra pure essential oils. They may have been tampered with. Just be careful and do your research. Always best to buy direct from the company or someone personally that you know and trust. I loved this article and it inspired me to try essential oils. I’ve never used them before so I’m super new to this. I was diagnosed with hypothyroidism about 2 years ago. I really want a natural approach to work for my body. I just recently stopped taking my Levothyroxine and just yesterday received my endoflex and frankincense, still waiting on a few others. My question is I’ve heard a lot about “carrier oils” did you use these? or did you apply the oil right from the bottle? I also bought some roller bottles for the application. Looking for any tips for a very new beginner! I use Young Living Essential oils. A carrier oil is a fatty oil that helps dilute essential oils. Most eos can be applied neat (straight) but a few are considered hot. Those might best to use with carrier oil such as coconut or almond oil. I prefer almond oil. I just found I have Grave’s Eye disease or TED. The treatment suggested is radiotherapy. Nothing I’m a fan of. My plan is to use the oils to self treat first. I use the blend called Endoflex and Frankincense daily. I’m just beginning this routine so I don’t have results yet. If you’d like to try YL, please feel free to contact me and I will help you get started. I am also trying to change my diet style as I have several autoimmune conditios. Hi, You talk about using Endoflex from Young Living. What would you recommend for someone wanting to use Doterra oils? Can you tell me the equivalent or an oil that would accomplish the same thing as Endoflex? I would love to know more about thyroidectomy, I have a different situation than most as I have Complex Regional Pain Syndrome which has attacked my organs causing them to swell the point of causing horrible issues, such as obstructing my breathing by my thyroid. I am trying to learn about oils, but not sure if they will help if you don’t have thyroid. What would be Doterra’s equivalent to the Endoflex? Thanks! I have Graves Disease so my thyroid has been dissolved. Will oils work for this and how can I do this? I don’t see an answer for people that have had a total thyroidectomy. Did I miss it or you haven’t answer yet? I would always check with my healthcare provider first. Essential oils can be very beneficial but we don’t advocate stopping your medication. I use EOS blends and I love them. Check ours out, if you’d like: https://thyroidnation.com/my-store/ Everything healthy. Not 1 bad ingredient. Even the bottles are glass. We made these with thyroid patients in mind and put our love and healing vibes into every product! I utilize dōTERRA EO blends with my thyroid patients & they are working very well. I would always want to make sure that I get the very best oil that is produced via indigenous locations based on the very substrate of the soil for the chemical constituent to be the best. I have been researching Armour Thyroid tonight for over an hour. I have been diagnosed with hashimoto disease over 8 years now. I have been on medicine and I have taken myself off of medicine A year ago I started on Armour Thyroid after begging my Dr. After three months he discontinued my medicine because my number were fine he said. I will not take any more medicine so tonight I was researching Armour. THEN I remember that I had an account with Young Living and maybe I should research oils… Then I found you! I am going to start this as soon as I can get all the oils. I have some of them but need to buy a few more. I thank you for posting this, I thank you. I’m so glad you found us. I’m so sorry for all the drama that comes with hashimoto’s AND finding a good doctor. I do have to say that although I think that essential oils can seriously help and are very supportive, they are not a cure. Thyroid disease is pretty serious and if your body isn’t making enough hormones, there are no amount of oils in the world that can help. The woman in this story has not updated her account of how she feels so it might have been something that helped or was short term. There isn’t enough research on EOS yet, but even still, you need thyroid hormone if you have hashimoto’s and your antibodies are high and you feel terrible. You can do a lot of things with lifestyle and nutrition, however. 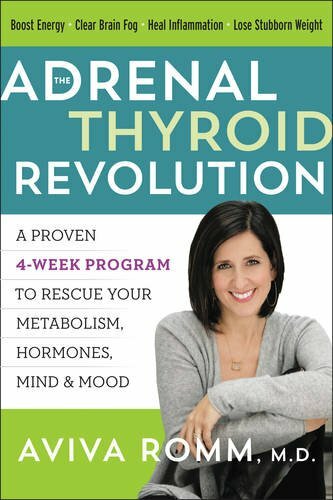 If you are unsure where to start, you can watch The Thyroid Secret by Dr. Izabella Wentz. http://bit.ly/TheThyroidSecretFREE as it has helped millions. She also explains that you can definitely put your condition into remission, which is really exciting. Good luck on your journey and please keep us posted. 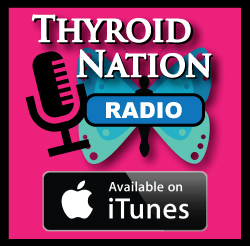 You can also join our facebook group: Hashi’s & Graves Thyroid Talk Show. Can you tell me the amounts you used not for your mixture? I am concerned about this article. I am an aromatherapy student and we have been taught that under no circumstances must essential oils be used “neat” on the skin. They must be diluted in a carrier oil (with the exception of lavender oil and tea tree oil which may be used topically). They are extremely potent and can cause serious irritation, have many side effects (such as heart palpitations if you suffer from High Blood pressure etc.). They should only be used with the support of a qualified Aromatherapist and should not be self diagnosed. Hey. I have PCOS, as well as Hypo, Adrenals, Leaky Gut. Could I use this for that? Rub it on my belly? Best oils for pcos are clary sage, thyme, lavender, saddlewood. There are a few others but those are the best. Rub in belly and inside of arch and inner ankles. Have you tried or thought about trying Thyromin supplements? Im asking because I use the endoflex and progessence plus. What are you thoughts about the supplements? Hi, I am hypo with thyroid nodules. Waiting on blood work to see if I have hashimoto’s. I’m on Synthroid and would like to switch to a NDT. I am always tired, can’t lose weight and have an almost constant lump feeling in my throat. I can breath, talk and eat just fine but it’s so annoying. Would the endoflex help with any of that? I am so glad to read this is working for someone! I stopped my medication cold turkey about a year ago and just now looking into oils. I stopped because I felt absolutely the same and thought “if I’m going to feel tired, hazed and have no energy with or without meds than I might as well do it without.” I didn’t fell any difference being on my medication. I have been doing a lot of research and still trying to figure out which oils I for sure want to use. Thank you! Hi! Thanks for this article. Did you dilute the oils? If yes, by how much?